This howto will show show you an easy way of taking screenshots of videos or movies. Back in 2006 I wrote an article about how to take a screenshot while watching a movie on Windows XP. Windows XP couldn't take a screenshot (using print screen) of a video by default and thus was a complicated process . 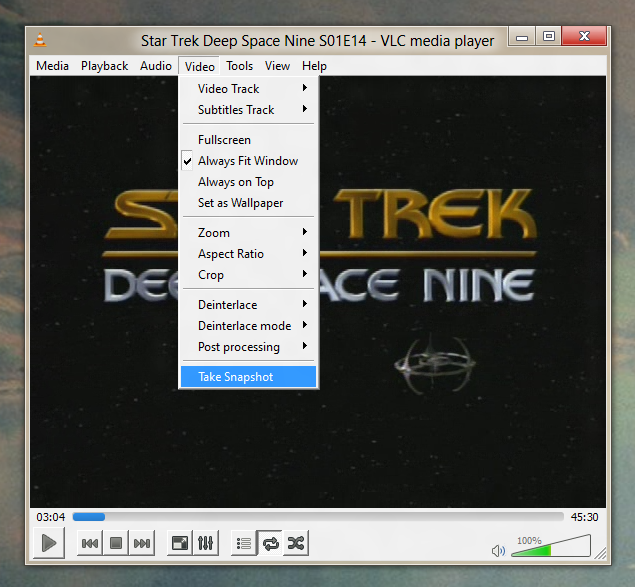 A much easier way to take a screenshot is to use a different media player, such as VLC. Click Read more to see how. First you will need to download and install VLC from VideoLAN's website. VLC can play nearly any video or audio file you find on the internet and can also play DVDs for free. The print screen button on your keyboard works when VLC is playing a video. Not only that, but VLC has an option to take a snapshot built right into it! You can play a video in VLC by pressing Media then Open File, or you can even just drag and drop the video onto VLC to begin playback. Get to the point in the video where you want a screenshot and pause it. You can play/pause using the button in the lower left or you can use the spacebar. Next click Video then click Take Snapshot. 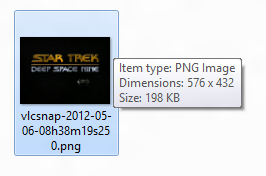 VLC will then save the picture into your "Pictures" or "My Pictures" folder as a PNG file.